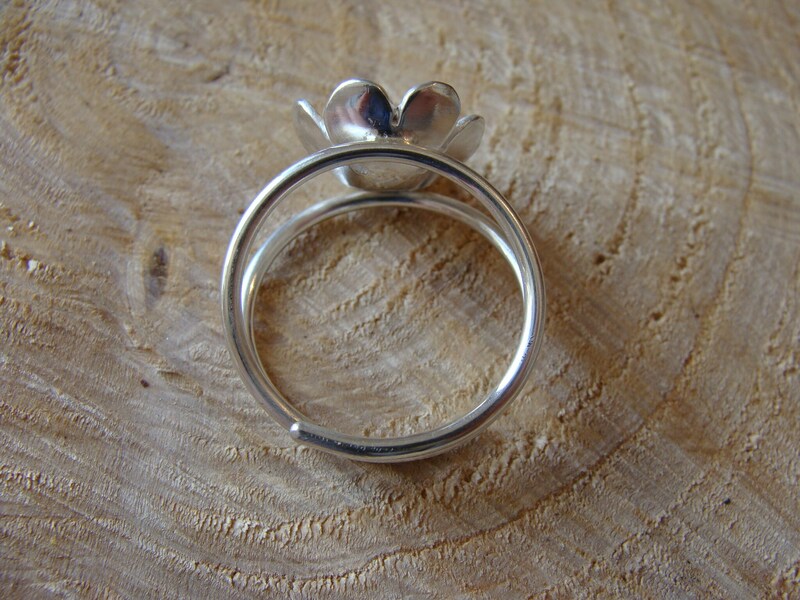 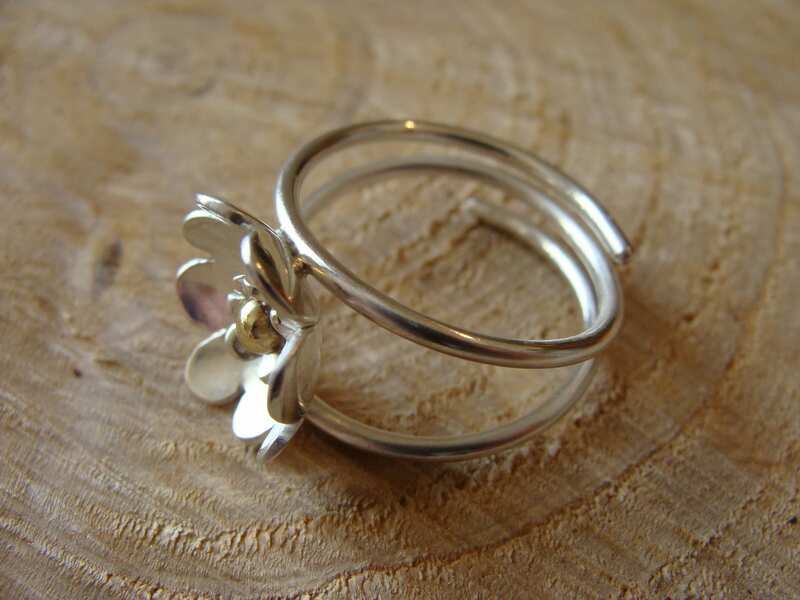 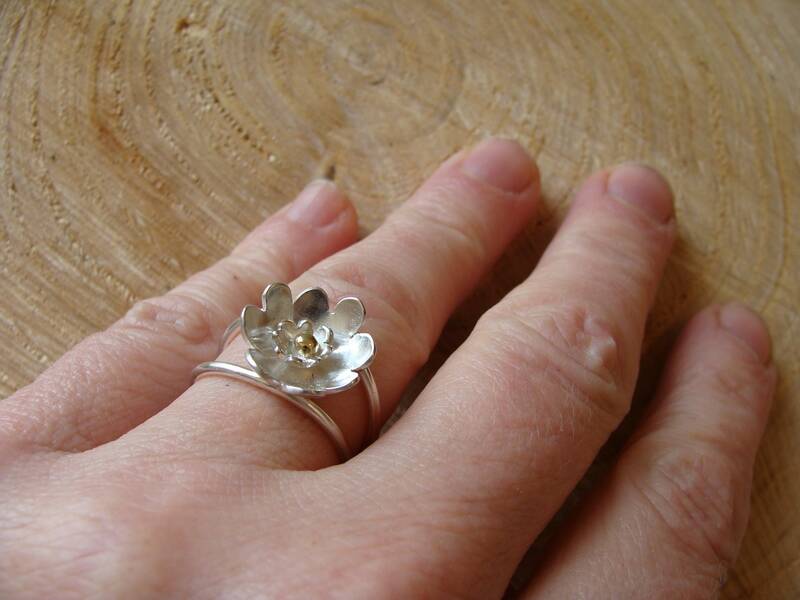 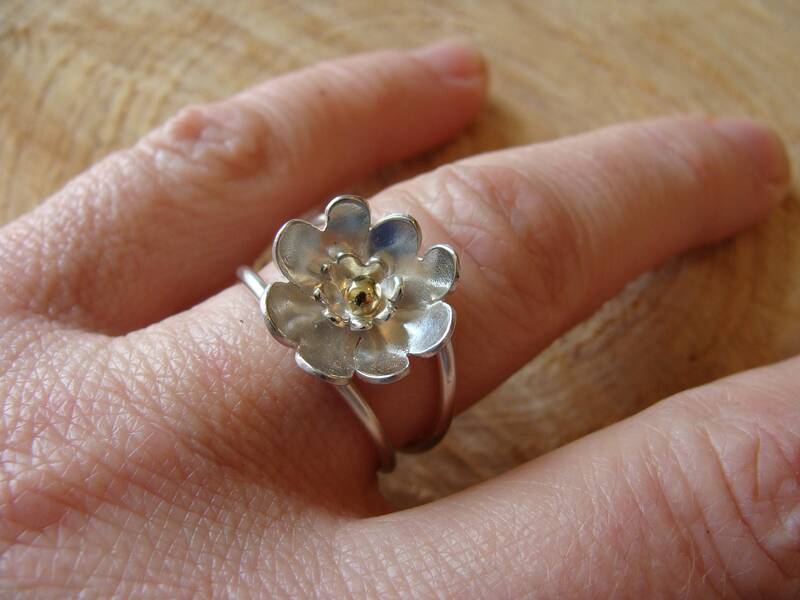 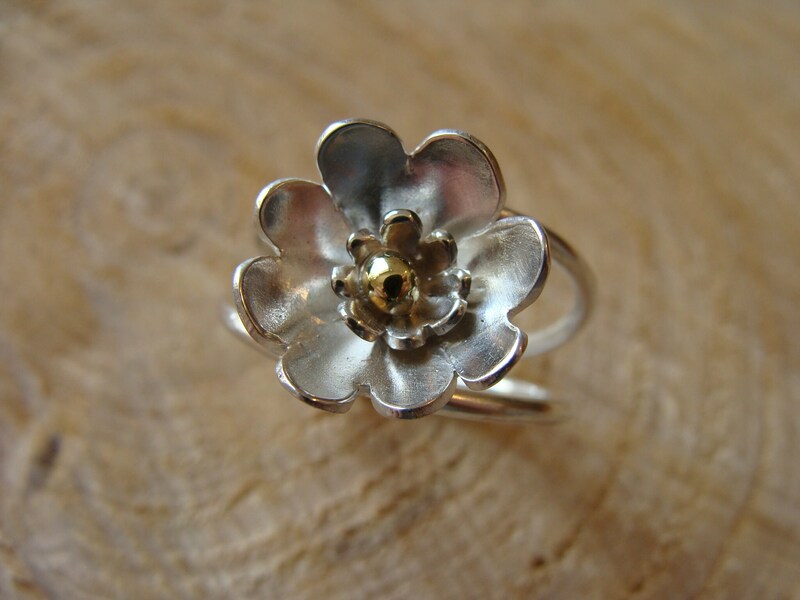 Sterling silver ring, depicting a pretty flower with double corolla, the brass pistil. 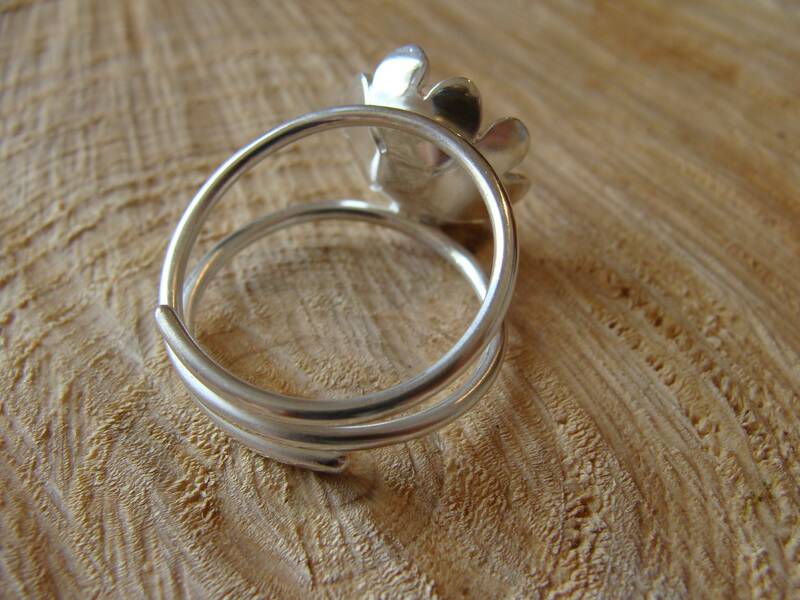 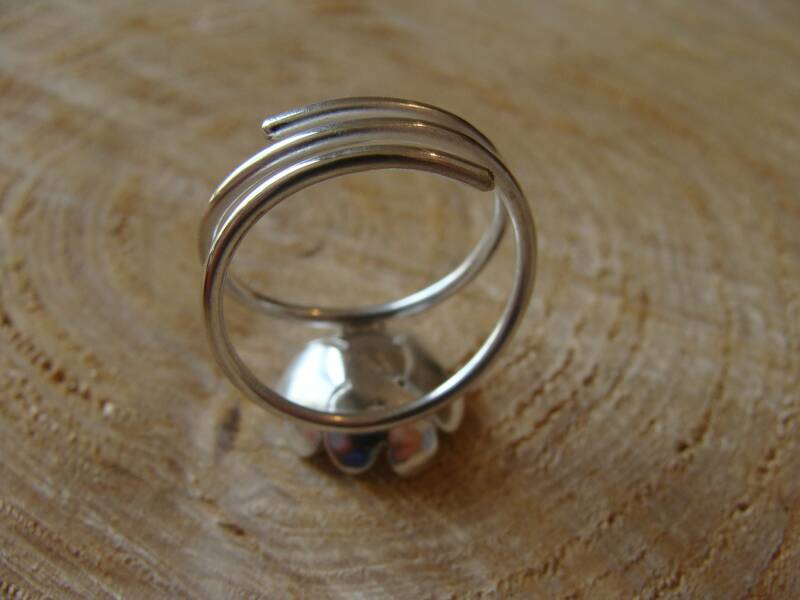 The ring is a silver wire adjustable to your finger. 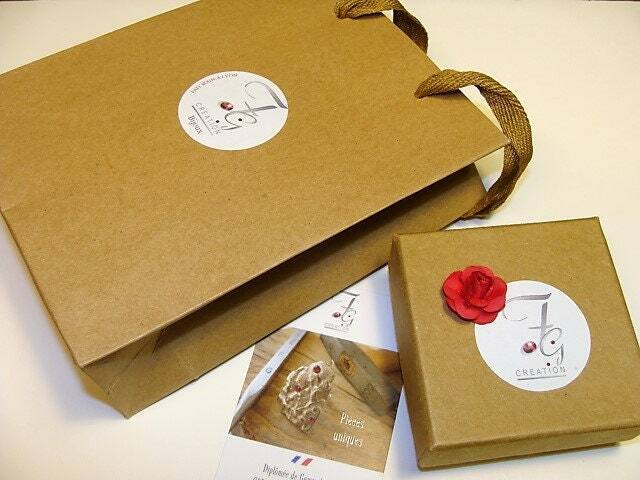 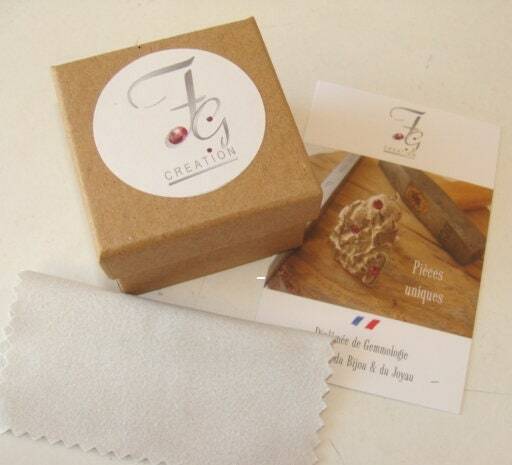 Your ring is delivered in its case, ready to offer. 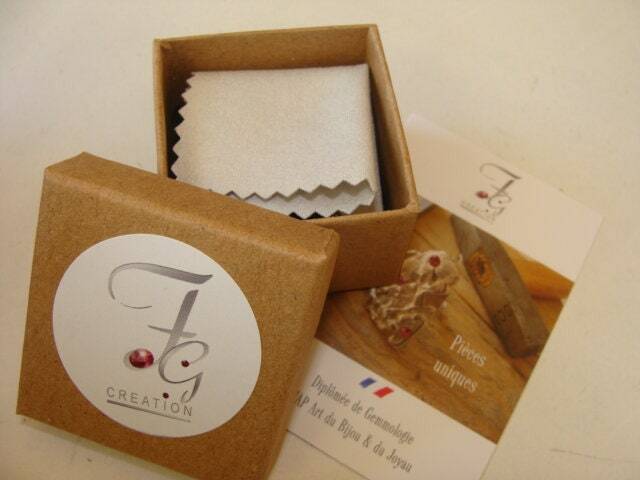 As a gift a chamoisine, to clean your jewel.